Home The NewsMill Modi will solve all problems of Kashmiris: Ram Madhav in Srinagar. Prime Minister NarendraModi will solve all problems of Kashmiris, the BharatiyaJanata Party general secretary Ram Madhav said here on Friday, and urged people to vote for his party in the ongoing general elections.Madhav made the remarks during his brief visit to Srinagar where he interacted with first-time voters under ‘Modihai to mumkinhai’ programme. Development is the solution to all problems in Kashmir,” he told the gathering. He appealed to the people, especially youths, to take part in the elections enthusiastically. 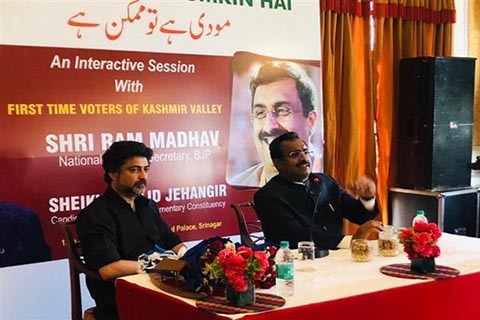 “Exercise you right to vote and elect people who will lead Kashmir on the path of development,” Madhav said, adding that during the past more than five years of BJP rule, “there has been a lot of development in Kashmir”. 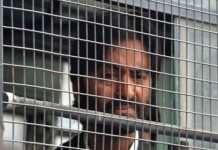 He said the BJP’s candidate for the Srinagar-BudgamLokSabha constituency, Khalid Jehangir, is “one of the Centre’s representatives in Kashmir”. 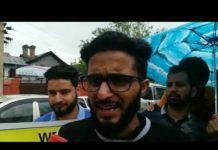 “Everybody, especially the youths, should come forward and vote for Khalid,” he said, and expressed satisfaction over the election campaign being run in favour of the BJP candidate. Madhav said that Modi will have a “golden handshake with all global leaders in 2019” and “after his return to power again, things will change drastically”.He said the Modi-led government has taken “strong action” against militancy but “at the same time, we have undertaken many developmental activities in the state”.“It is because of this reason that people in the state are happy and there is peace all around,” he said. The BJP leader said that they know “it will take time for our party to grow here (in Kashmir Valley), but we will continue with our attempts in this direction”.Madhav lashed out at what he called “dynastic rulers”.Without naming anyone, he said: “These dynasts have looted the state. It is time for people of Jammu and Kashmir to punish them,” he said, adding that “other families in the state have now produced leaders”.He said these (dynastic) families have an understanding amongst themselves. “One loots the state for five years and then is thrown out of power and then the other starts looting the state,” he alleged. “They have a five-year contract to loot the state”.Khalid Jehangir also addressed the gathering and urged the people to “vote for truth”. “Until now, nobody has told truth to the people of the state, who were fooled with fake slogans. 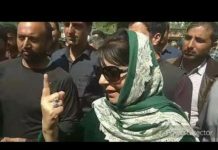 I am going door-to-door and telling truth to the people of Kashmir,” he said, adding that unemployment, corruption, nepotism and other issues are “burning matters in the state”. Previous articleHC dismisses plea seeking ban against Farooq Abdullah, Omar, Mehbooba. Next articleMirwaiz for tripartite dialogue to resolve Kashmir.